The benefits for compression gear have been debated. Some doctors say it can provide a benefit while other doctors say that using it after your run is more beneficial and can speed up recovery. 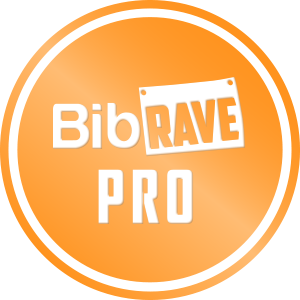 There are some doctors that say you should use it during and after your runs and other doctors that say that there is no benefit. 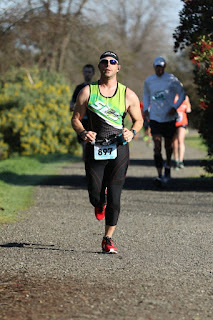 I am not a doctor, but I am a huge fan of compression gear, both during and after my races. I have personally felt the difference and it helped me beat shin splints. That alone is worth the price of admission. It is said that wearing compression gear improves blood flow inside muscles and the surrounding tissue. Proper blood flow is essential in performing at your peak and compression gear may really help. Have you ever had that heavy leg feeling? Compression gear can assist in getting the blood flowing and allowing the blood in your legs to make it back to your heart. This process can help move out metabolic waste like Lactic Acid, which will help delay the onset of fatigue. It also helps to keep the muscles in your legs from vibrating when your feet impact the ground, which is great for people who suffer from shin splints. Not all compression gear is created equally though. You want to look for compression gear that says it has graduated compression. This means that it has the greatest compression in the ankles, which will help send the blood back up your legs. Many of the cheaper compression sleeves don’t provide true graduated compression. The optimal pressure range for compression socks and tights is 20-30mmHg. 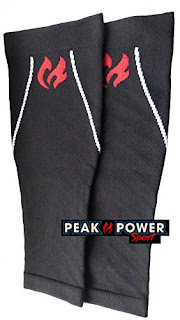 The Peak Power Sports Graduated Calf Sleeves are comfortable enough to wear all day long, but have enough support and compression to help with calf soreness and shin splints during your runs. It can also help speed up your recovery after hard runs. The construction and materials are good quality and the price is decent. You get a pair (2 sleeves), unlike some of their competitors, for $14.95 on Amazon. I really like the graduated compression of the Peak Power Sports Graduated Calf Sleeves. They have 20mmHg of compression at the top of the sleeve and 25mmHg at the ankle. It is the perfect amount of compression in my opinion. They provide superior support and are extremely comfortable to wear. Peak Power Sports is offering a pair of their Calf Sleeves for $14.95 on Amazon. These are cheaper than the competition, but are every bit as good if not better. Peak Power Sports puts out great products, especially for the price. Proper recovery is key to performing at your best and to reduce the risk of injury. These Calf Sleeves do a great job of reducing pain and inflammation and increasing circulation. The price is great, especially if it can help with one of the most painful running injures, Shin Splints. Get a pair and let me know what you think.